This piece originally appears on Fix.com. Because fires are a little unpredictable, it may take a few tries to get really good at this. 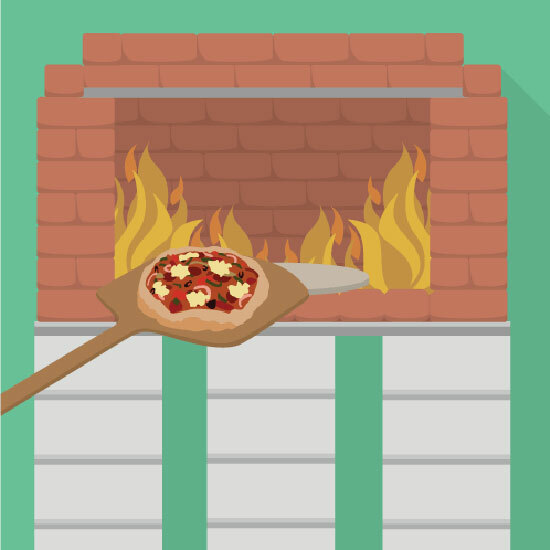 When the fire breaks down into glowing embers, clear the cooking surface for the pizza, pushing the fire to the back of the oven. If you have a thick pizza, you may desire a lower heat to bake the center more evenly without burning the outside. We recommend a thin crust, from homemade dough.